In the year 2018 marks the 70th anniversary of the official inauguration of the Museu Frederic Marès (November 25, 1948), at the same time that it coincides with the 125th anniversary of Frederic Marès bird (September 18, 1893). 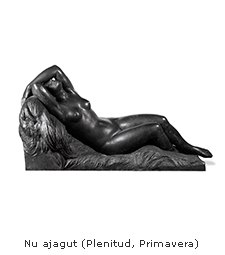 The objective of the Museum is to take advantage of the commemoration of these events to promote the search and knowledge of the figure of the sculptor and collector, Frederic Marès, as well as its divulgation. 1. Presentation of the family public activity of the new Educational Service of the Museum "La Barcelona de Frederic Marès". 2. New museographic presentation of Frederic Marès' Library-Studio. 3. Photographic intervention in the permanent exhibition: photographs by Frederic Marès and his collections. 4. Public presentation of the on line correspondence of the Frederic Marès personal collection. 5. Premiere of the new TV3 program, Inèdits, with the broadcast of the lnterview-documentary about Frederic Marès. 6. 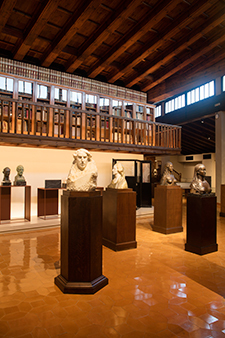 IV edition of the Cicle of 5 concerts Musicant the Museu Frederic Marès, dedicated to the figure of sculptor and collector. 7. 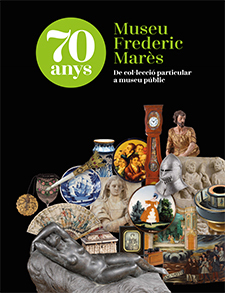 Spring party "70 years of the Museu Frederic Marès". 8. Conference about Frederic Marès.